Technically known as a rhytidectomy, a facelift rejuvenates the mid-to-lower face and neck. It can correct mid-face sagging, deep creases under the eyes, deep creases between the nose and mouth (nasolabial folds), jowls due to loss of muscle tone, sagging/excess areas of fat, and loose skin and fat under the chin and jaw. 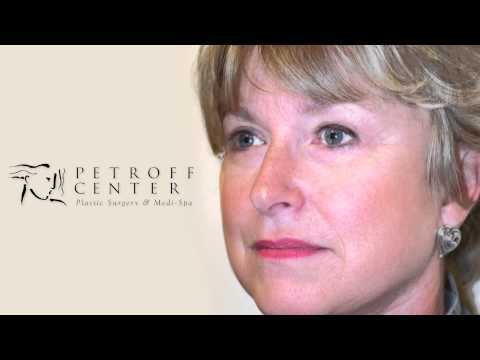 Dr. Petroff has decades of experience and has dedicated his career to providing his Lake Oswego, OR patients with the most natural, appealing results through his facelifts. When performed at Petroff Center Plastic Surgery and Medi-Spa, a facelift can make our patients look years younger without an "obviously operated on" appearance. We encourage candidates to discuss their options with Dr. Petroff by scheduling a consult today. Dr. Petroff also performs brow lift surgery and neck lifts for patients who have sagging brows or loose skin in the neck area. 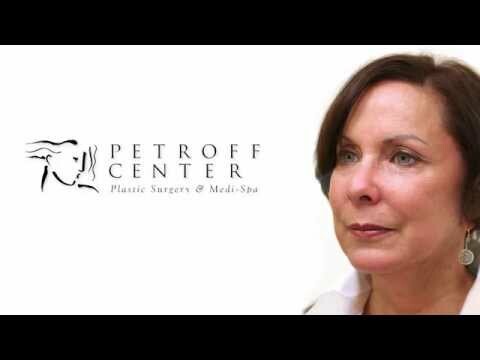 While these treatments can be performed alone, Dr. Petroff often incorporates them in with his facelift procedures. By addressing the upper face with brow lift surgery, the mid-face with the latest facelift techniques, and a neck lift for a tighter neck and smoother lower face, outcomes reveal an overall rejuvenated facial appearance from top to bottom. "face lift and fractional c o 2 laser treatment. - couldn't have had a better surgeon.. Positive Comments can't say enough positive about this dr.. he is so professional and caring." "It has been 4 months since my facelift. I did not book to have my eyes done at the same time as I didn't know what to expect. Immediately after my facelift was completed, I was so pleased that I booked my eyes to be done 5 weeks later. I am VERY happy with both results and the attention and care I received from the entire Petroff staff. Thank you so much!" "Relieved to hear facelift has lasted since 2007 and will not need to be reevaluated for two more years. Will schedule fillers and botox later this year." "Dr Petroff is the best, I had a facelift 6 years ago, would I do it again, In a heart beat I would do it again. I look good and feel so much better. Each morning I look in the mirror, and say You're beautiful." "Four weeks ago I had a facelift with under eye surgery. The results exceeded my expectations. I was back in my dance class after just two weeks and received comments like 'you look so pretty', 'rested' and 'young'. No one suspected I had surgery. I have no visible scars and can wear my hair up . I was worried about scaring because I have thin and delicate skin but even the bruising was minimal. 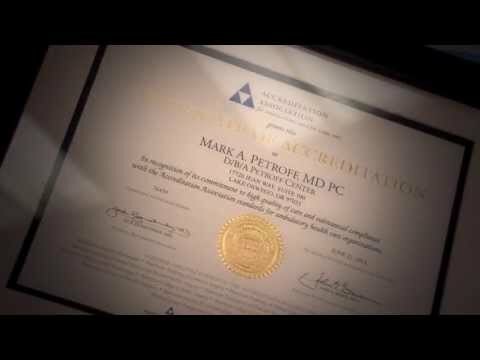 Dr. Petroff is an artist, customizing every detail to the individual. If you are reading this review it is likely you are considering having a procedure. There is no reason to be afraid, I experienced only mild discomfort and the doctor and his staff were beside me every step. I felt respected, informed, and safe. I love the way I look but it is a deeper change as well. I feel stronger, more capable of making the right decisions for myself, regardless of the opinions of others. It was a great experience for me." Dr. Petroff primarily performs a deep plane facelift, which experts agree yields the most natural, ideal, and long-lasting result. Facelifts are performed in our state-of-the-art surgery center, where we utilize local anesthesia with IV sedation. The procedure takes about 3 hours to perform. It will include muscle or “SMAS” repositioning, fat sculpting, as well as trimming and redraping of the skin. It allows for the optimal repositioning of both skin and muscle so there is no tension left on the skin. With this technique, Dr. Petroff is able to produce a result that will hold up for 10 or more years. The incision begins in the temporal hairline and travels along the anatomic boundaries of the ear and hairlines. Sometimes, another small incision is made under the chin. The incisions are closed with fine sutures, and scars are hidden in the hairline where they are generally undetectable. After a facelift, a dressing will be placed over the surgical site, and it will be replaced during the initial follow-up visit. It’s normal to experience pain and discomfort, which can be alleviated with medication prescribed by our surgeon. There should also be an expectation of swelling and bruising for up to 2 weeks after surgery. After about 2 weeks, most patients can resume normal activities like going back to work and exercising. After about 3 weeks, patients should notice the dramatic and natural results of the surgery. While facelifts offer long-term solutions, just like any other surgery, the effects are not permanent since the face will continue to naturally age. However, a patient will still look younger compared to if he or she never had the surgery. You can turn back the hands of time successfully with a facelift surgery. The procedure can address all the tell-tale signs of aging, such as lines, wrinkles, and saggy skin. Give our office a call today to inquire about a facelift from Dr. Petroff.